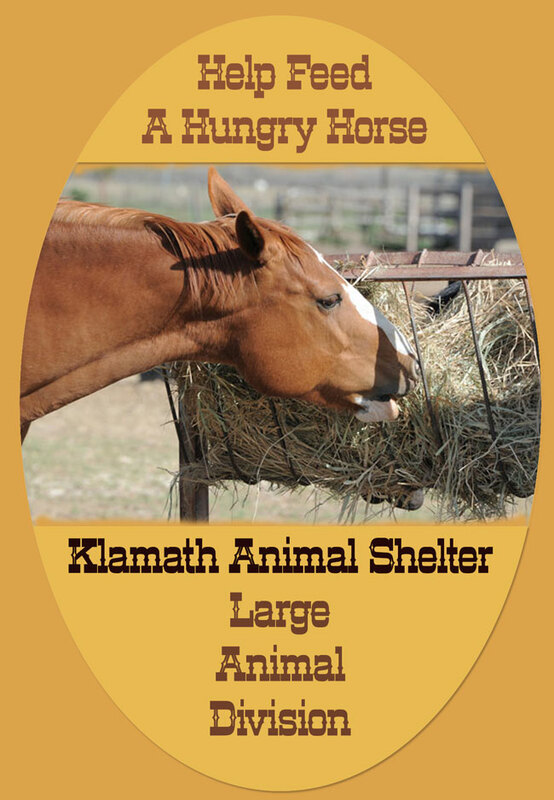 Klamath Animal Shelter/Large Animal Division provides a safety net for abused, abandoned, and neglected large animals. Our volunteers foster responsible care and compassion for large animals through community outreach, intervention, and education. When alternative care is needed for large animals, we work closely with the Klamath County Sheriff’s Office and other local horse rescue groups to provide rehabilitation, training, and re-homing services. Often times neglect cases are resolved with owner education which focuses on appropriate feeding techniques and veterinary care. Additional services include reuniting large animals with their owners and locating foster care. Klamath Animal Shelter/Large Animal Division is a 501(c)(3) non-profit organization located in Klamath County, Oregon. Our IRS Tax ID number is 23-7131015. Our organization has operated since 1976.